I'm the kind of girl who keeps a Costco sized bag of semisweet chocolate chips in the freezer. What….you don't do that? For one, it saves a lot of money, not only because I buy in bulk, but because it's the only chocolate I really eat. I can use it for chocolate chip cookies, chocolate chip pumpkin bread, or I can grab a handful and share some with the boys midday. There's nothing wrong with that…right? I mean, it could be worse! Right? For awhile I was making my coconut chocolate candy often. D and I would eat it, but no one else really cared for it. And then I realized that if I'm the only one really eating it, then perhaps I should not be making it anymore. Huge sigh. But then, I discovered something new and different from my regular coconut butter ……. CAKE BATTER coconut butter!!! This is totally NOT sponsored, but this company, Nikki's, makes amazing flavors of coconut butter and Vanilla Cake Batter is one of them. Vanilla Cake Batter, people! 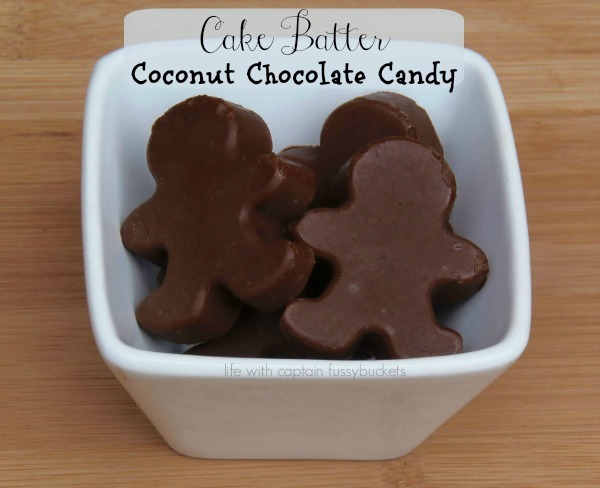 Coconut butter that tastes like cake batter. Here are the ingredients: organic unsweetened coconut, organic extra virgin coconut oil, organic honey, organic vanilla extract, and sea salt. It's so delicious right out of the jar, but I made my chocolate candy with it! And it's so, so delicious! Place all ingredients in a double boiler or in a glass measuring cup in a pot of boiling water on the stove. Melt ingredients, continually whisking or stirring until smooth. Remove from heat and pour into a silicon candy mold. Keep any uneaten candy in the fridge or cool place. Out of all of the things I have tried to grow over the year, yellow summer squash has to be my very favorite! It is easy to grow and take care of, and summer squash is one of my very favorite vegetables. You can do so many things with it, like bake, sauté, fry, or grill it. You can even cook a delicious squash casserole and more. We also love the green variety of squash, zucchini. It is more popular, and we like to make Zucchini Lasagna with our garden produce. 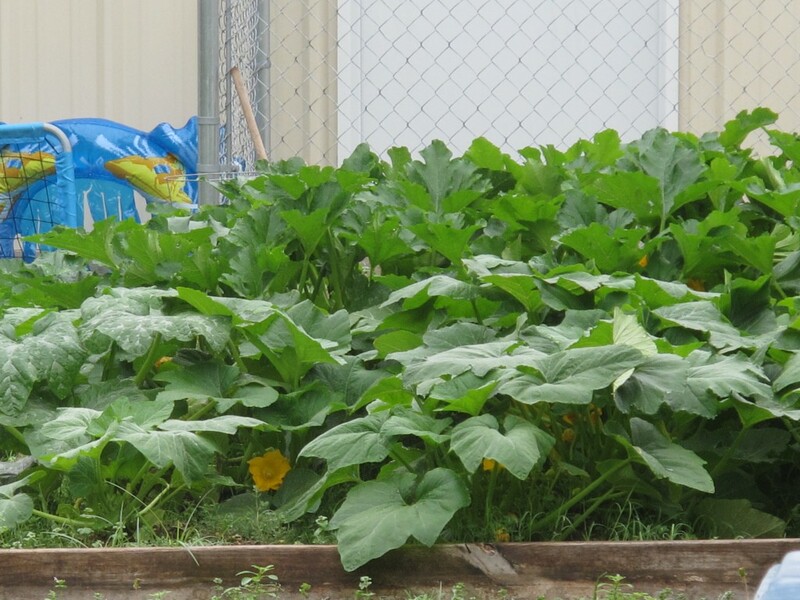 When I first began growing yellow squash and zucchini, I harvested just a few and then my plants started turning yellow and were dead before I knew what hit them. I assumed that I hadn't watered them enough – as it was a very hot summer and I was a gardening newbie. Well, I started reading up and wondered if squash bugs had taken over. I knew my dad and brother had talked about them, but I didn't see one in my garden, but then again, I never looked that closely. What I didn't realize at the time of planting was that my plants really were too close and it would be hard to harvest, but I did make the very most out of my space and we had TONS of squash and zucchini! However, before long, the plants started turning yellow again. Upon investigation, I found squash bugs all up in my plants and I was not happy. I was striving for an organic garden and didn't want to resort to chemicals, but something had to be done to save my plants. Closely inspect your squash, zucchini, melon, cucumbers, and other plants from the cucurbit family and kill any squash bugs you see. 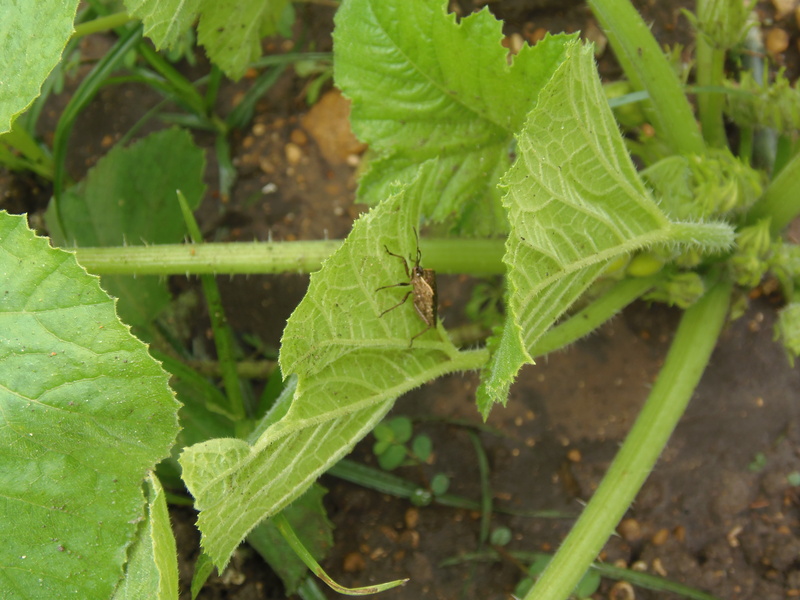 Also keep an eye out for squash bug nymphs, which are likely nearby eggs that they have just hatched out of. 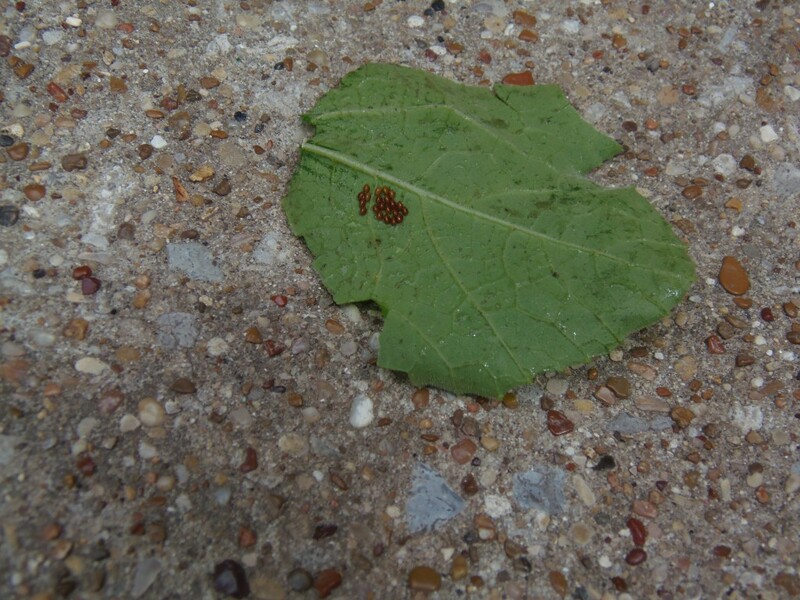 If you check for bugs during and right after watering, you will find that they climb to the top of your plants. This provides an easy way to capture and kill them. Check daily for eggs. I find that squash bugs love to lay their eggs on my tomato plants. Also, if you go out after dark, you can use a flashlight to easily spot the cluster of eggs under the leaves. Gently rub them back and forth with your fingers to kill them or remove the eggs and squish them with a spade or rock, burn them, or drop them in a bowl of water and soap (see #4.) 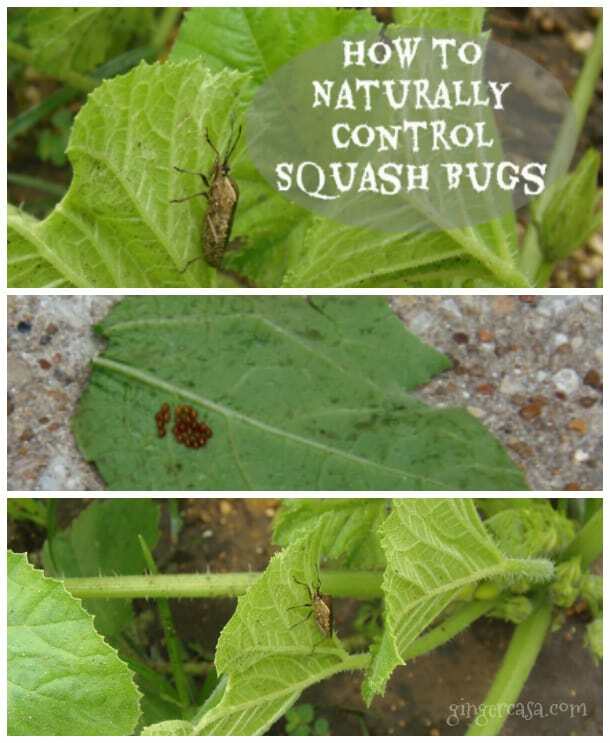 Just make sure they die or else you'll see baby squash bugs very, very soon. Have a bowl of water with a little dish soap mixed in to throw eggs and squash bugs in. They will die without you having to squish them! Set out some bug trap boards. I haven't tried this, but if you have an infestation, it's sure to work. Get some 100% Neem Oil and a spray bottle or a lawn and garden sprayer. 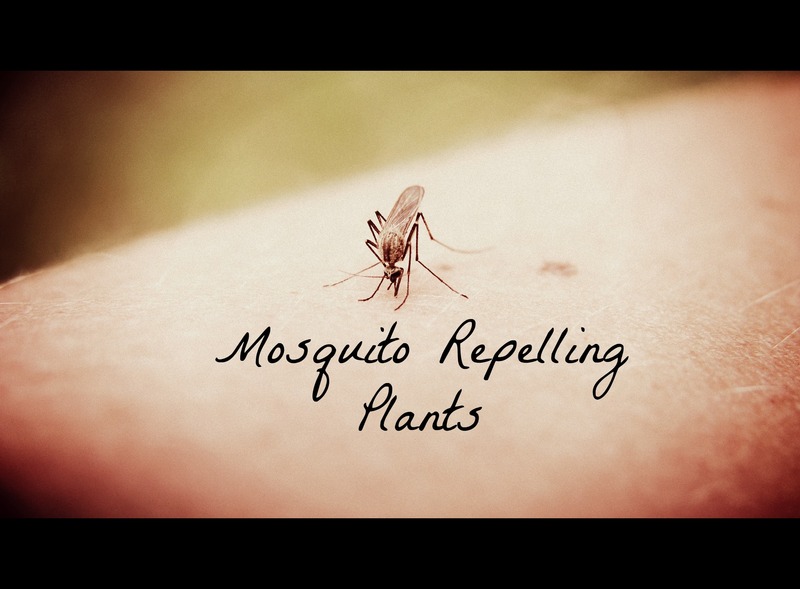 Mix with water, according to directions, and spray all over your plants. Hubby recently discovered neem oil for our grape vine aphids and have found that they will work for any bug that eats the fruits and veggies in your garden. The neem oil doesn't kill on contact, but is supposed to make them crazy and stop eating and mating, and thus, will kill them off. Neem oil can be applied any time of the day, up to the day of harvest and it doesn't kill those helpful bugs. Rake up any leaves or debris under the plants and throw them away because squash bugs love to hide. I have not tried this, but a lot of sources say that you can try a floating row cover to deter the bugs. I read a tip online last year that said after the growing season is over, leave one squash plant in the middle of your garden and wait a day and then go and kill all of the adult squash bugs because they will survive over the winter and lay their eggs in the summer if you don't. One man even said he sets his plant on fire, but you know, do that with caution if you want to! 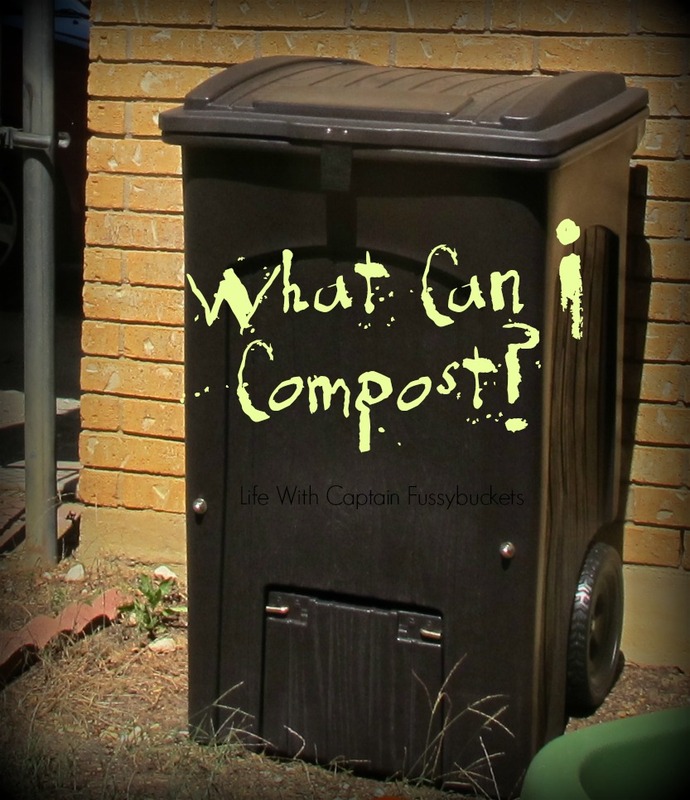 Either way, make sure you clean up the garden area afterwards so the bugs won't winter in your garden debris. 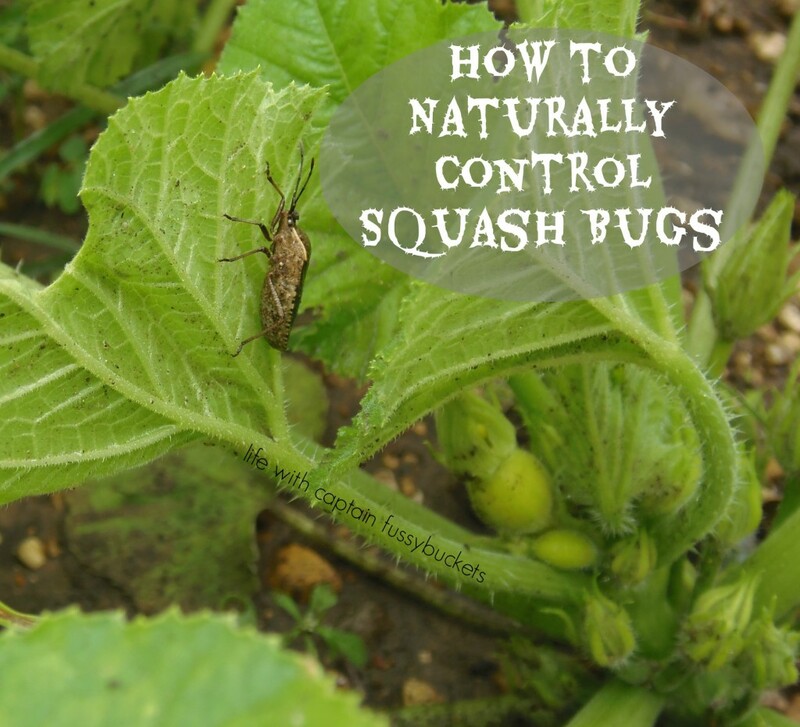 ​If you have any other tips for controlling squash bugs (or any other type of plant eating bug,) I'd love to hear about it in the comments! Good luck! 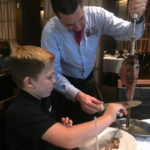 D is our three year old and he has always loved to eat. He is our child who loves peas, carrots, and broccoli, but turns his nose up at meat and beans. He usually likes chicken, but other than that, it is hard to get him to eat protein. He will eat fruit and vegetables all day, but I know he needs whole protein foods, too, so I'm always searching for ways to add protein to his diet. The Captain, on the other hand, is a meat eater, through and through. He struggles with getting enough calcium because he does not like milk or cheese. I worry about him getting enough calcium just like I worry about D getting enough protein. They both need calcium for strong bones and protein for energy to go, go, go! Luckily, they both love yogurt so I was thrilled to find the Stonyfield Organic refrigerated yogurt pouches. I love the convenience of the YoKids pouches. You don't know how many times we are out the door and I realize the boys need a snack (or breakfast sometimes…oops!) 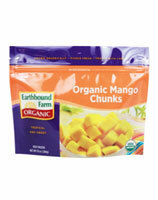 and these pouches rescue me….just grab and go! The boys love the strawberry flavor. I love that the ingredients are always organic and never contain high fructose corn syrup or artificial flavors. 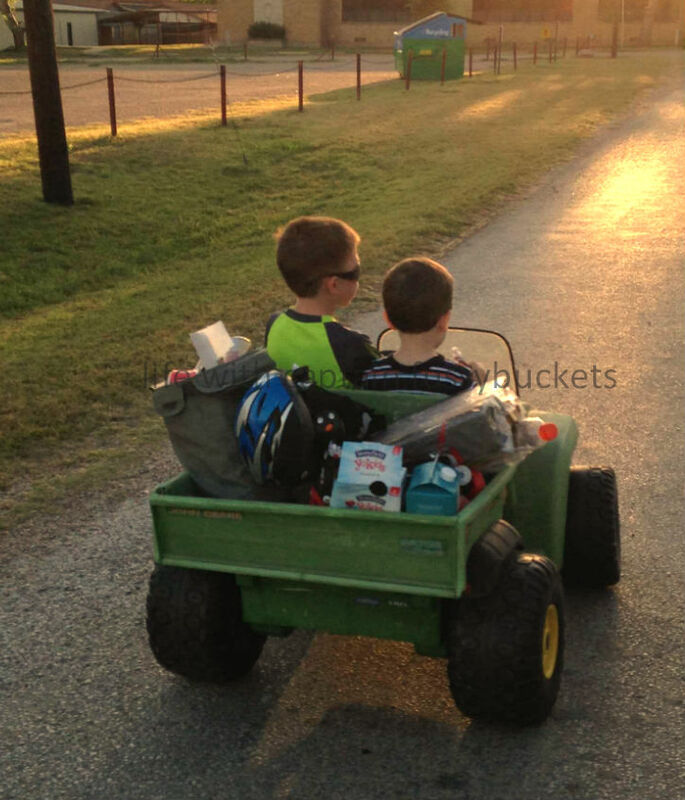 So whether we are going to school, a soccer game, shopping, or something as simple as talking a "drive" to the local recycling bin, the boys can have a quick snack that provides them with calcium and protein! Plus, Stonyfield Organic yogurt has live and active cultures to keep the boys' tummies and immune systems in tip top shape. 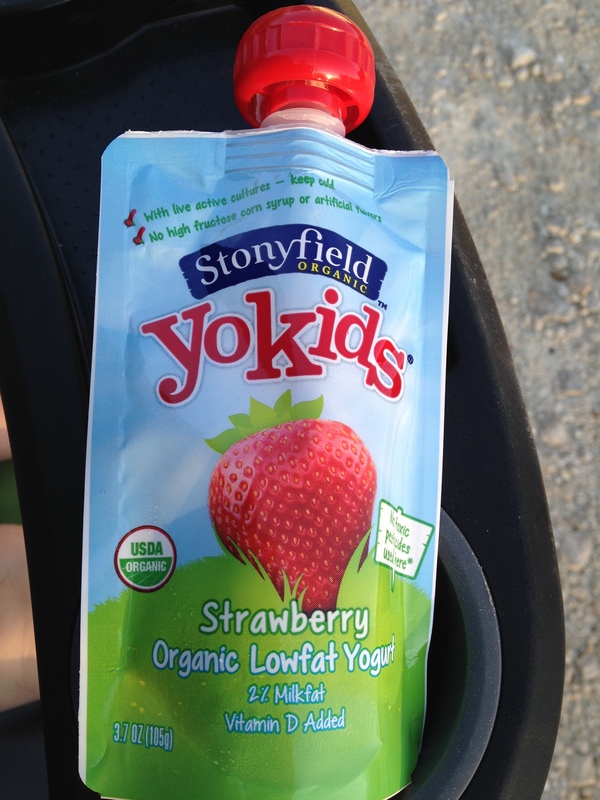 Stonyfield Organic YoKids yogurt pouches – strawberry is their favorite! 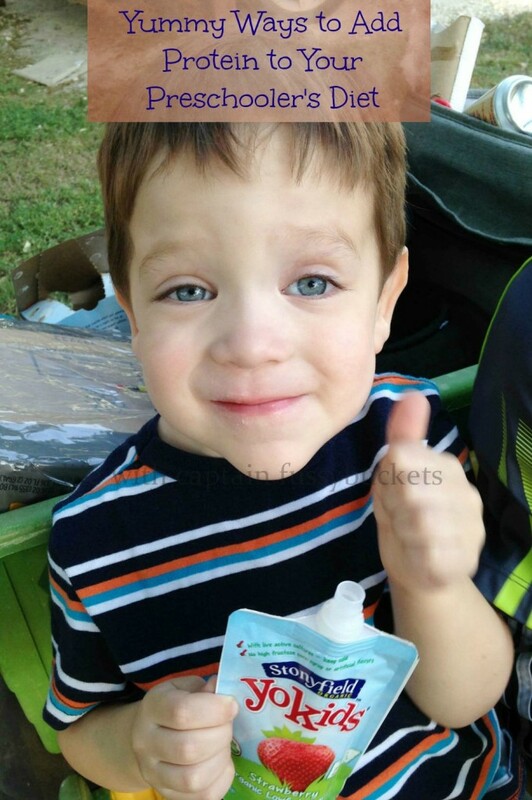 I'm also excited that Stonyfield will be there for Baby Brother when he's ready to start eating yogurt. The YoBaby and YoToddler refrigerated organic yogurt pouches are formulated for little ones and their special needs. Stonyfield organic yogurt pouches are available in the dairy aisle, along with all the other Stonyfield products that we love! They come in four packs or individual pouches. Read more about these delicious yogurt pouches on the Stonyfield website. Check the store locator to see if these pouches are sold near you! Natural Vitality Provides Organic Non GMO Supplements For Your Health! This post about organic non GMO supplements was brought to you by Natural Vitality. All opinions are mine. Have you ever looked at the ingredients list of your vitamins or supplements? I hadn't, until I became pregnant with #3. My go to prenatal vitamin had food dyes, chemicals, and the source of the vitamins and minerals was unknown. This got me to realize that I need to be checking the labels of all the supplements and vitamins we use in our house. When I discovered Natural Vitality, I was excited because the organic, non GMO ingredients in their supplements are high quality and Non-GMO Project certified. That's not an easy task, but Natural Vitality has done it. 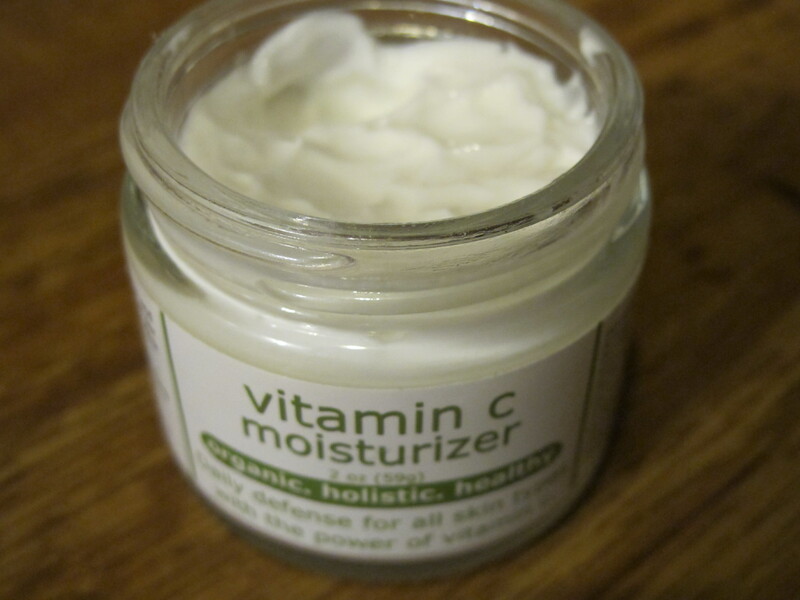 This Vitamin C Moisturizer post was brought to you by Made From Earth. All opinions are mine. How is your skin during the hot summer? Mine is really weird now that I'm pregnant, but usually the heat makes it dry and sunscreen, pools, water, and sweat make it sensitive and dry. I have found a reliable lotion for my skin that is organic, holistic, and healthy! Made From Earth's Vitamin C Moisturizer is lightweight, but thick enough to actually moisturize enough to last throughout the day. It's great for ALL skin types, too. This Sambazon juices and smoothies post was written by me on behalf of Sambazon. All opinions are mine. I love trying new drinks, especially organic drinks that are packed with healthy ingredients. 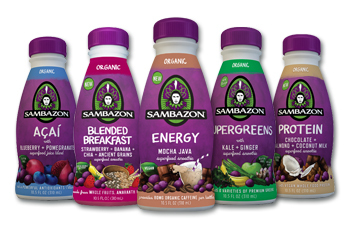 Sambazon juices and smoothies pass the test because they are jam packed with premium quality whole food Amazon plants and fruits. Sambazon is both Organic and Fair Trade certified, which is great for not only you and me, but for the people of the Brazilian Amazon. Two million acres and over 10,000 family farmers are supported! When I first started buying organic, researching foods, and reading labels, I had a really hard time venturing from my couponing, cheapskate ways, trying to find the best deal on “food,” but what I realized quickly was that what we had been buying wasn’t really food at all. 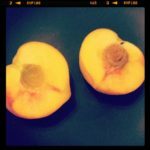 Sure I could find cheap junk food, cereals with food dye and dangerous additives, and get great deals on fruit straight from other countries, but when I started examing where our food came from and what was in it, I realized that sometimes paying a higher price now is better than paying for it later. A year ago today, I posted about the book that changed the way I thought about what we ate, the products that we used, and our environment. That book was "Little Changes," by Kristi Marsh. 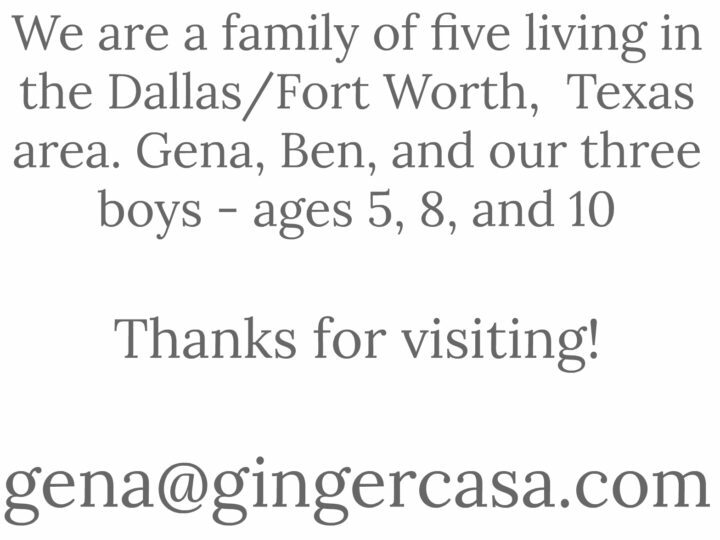 In the past year, we have made big and little changes around here. And by following Kristi on Facebook, I began to learn about Audra Conklin, the owner of what was previously Modern Mermaids, but is now Audra's. Audra has a license in holistic spa therapies and a big believer in anti-chemicals. She and a friend teamed up to make quality, safe products that just make sense to use because they actually care about the health of men, women, and children. Her intention is to help the conventional shopper understand the importance of using natural products. It is SO nice to not worry if my kids come into the bathroom when I am cleaning it. And it's nice to not have to open the windows or leave the house after I've cleaned the bathroom. In fact, cleaning with Audra's "Tingly Mint Blend" products makes the house smell GOOD! 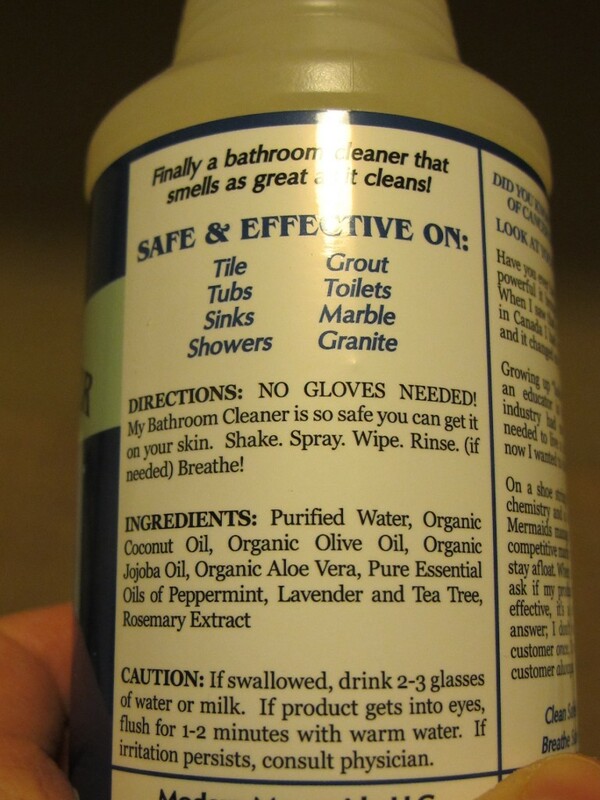 And the cleaner works and makes the bathroom sparkly and clean! 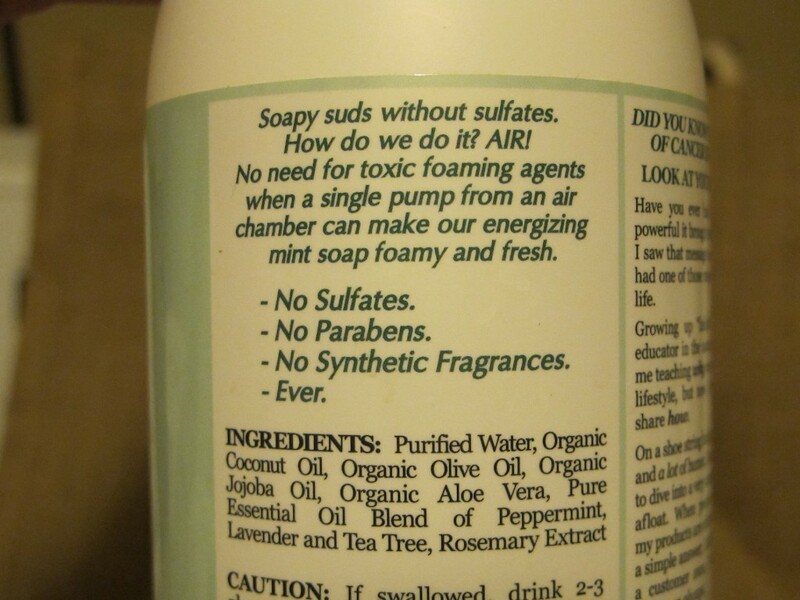 I'm also in love with Audra's Foaming Hand Soap. First of all, it's huge. Secondly, it's foamy, which makes it much easier to entice the boys to wash their hands effectively. And oh yeah, it smells like mint and I can rest assured knowing that the smell comes from essential oils and that's it. Ready for a little secret of mine? I hate the way our house smells. When you go green, that very often means that the fragrances go with it…sometimes. 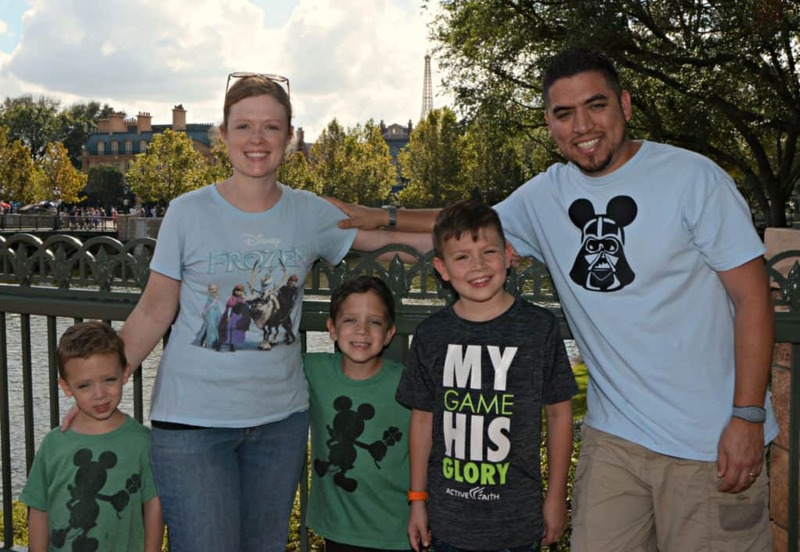 Two men in the house, cloth diapers, no heavily scented laundry detergent or fabric softener….that usually equals fresh, but sometimes foul smelling air in our house. 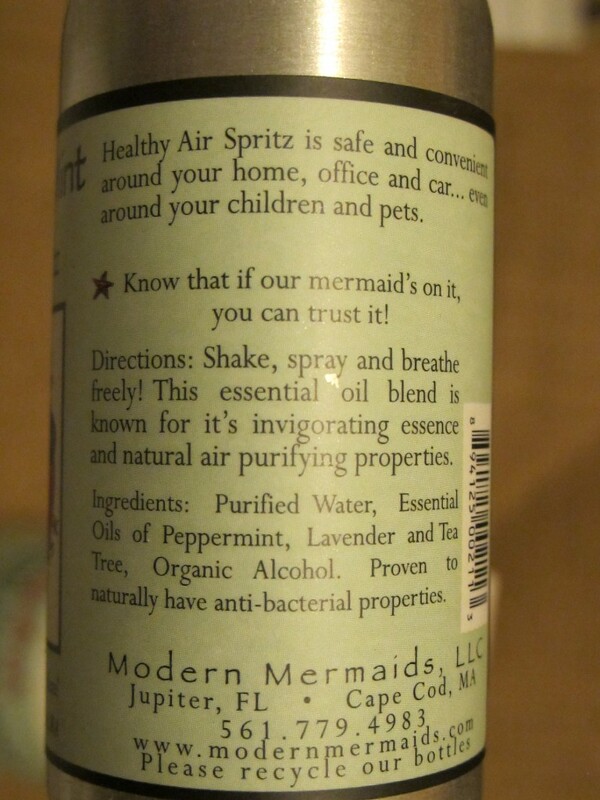 I jumped for joy when I tried Audra's "Healthy Air Spritz." This product is amazing and while you could use the Tingly Mint cleaners to achieve the same smell….sometimes it's okay to freshen up the air more quickly and with less effort! I also LOVE Audra's Fruit & Veggie Wash. It is absolutely great for cleaning all of your produce, especially the non-organic variety. While you can't really clean the inside of an apple, I feel better about cleaning some of the pesticides off of the outside with Audra's Fruit & Veggie Wash. I really love to spray it on my fresh grapes and rinse before the boys dig in. 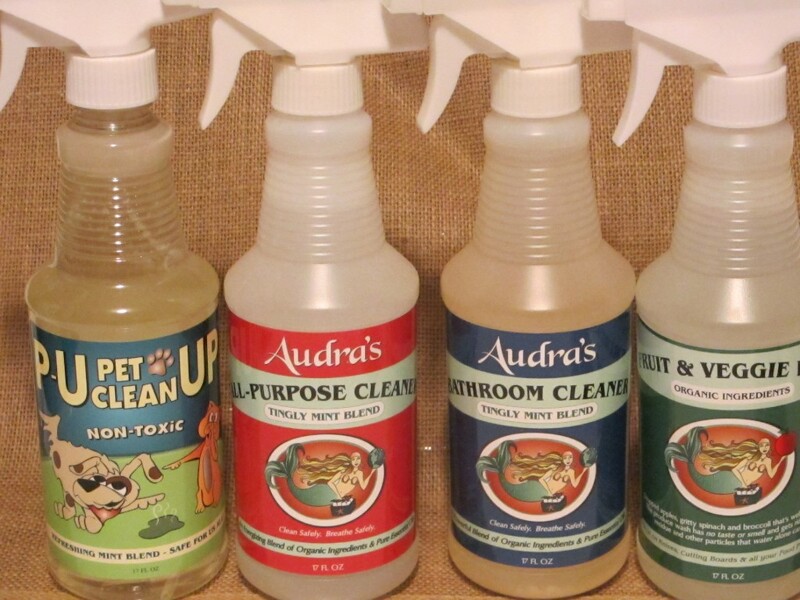 Audra's make other great products, so be sure to check out the full line on Audra's website. You can pick up Audra's all natural products at the online store, Whole Foods, and some other natural grocery stores. Check with Audra's to see where you can find them near you, or request that your favorite natural store carry Audra's products. Follow Audra's on Facebook and Twitter – she has great tips and even giveaways! Valentine's Day has always baffled me a bit. I've read the history behind the day and am still baffled how it turned in to what it is today, but hey, that's okay! 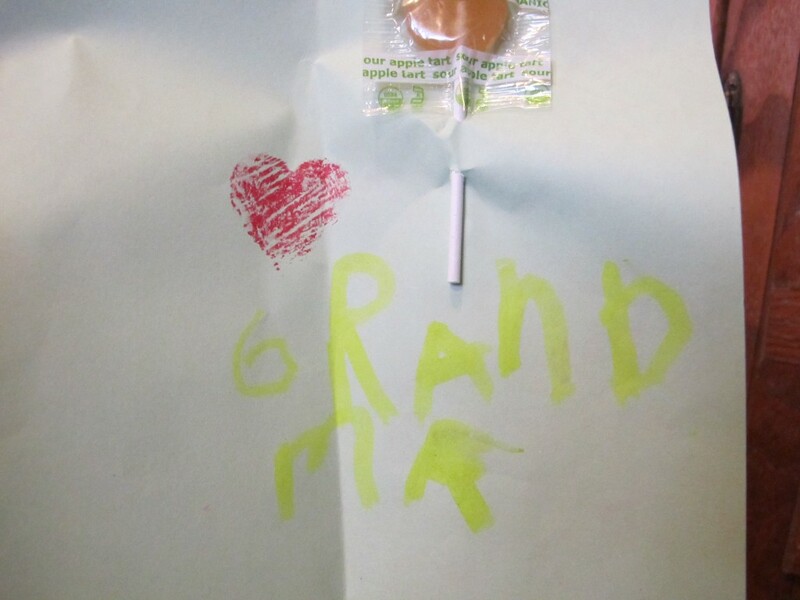 I think it's sweet for kids to exchange valentines and well, it's just a special day with an excuse to eat candy, right? I would feel a lot better about the massive amounts of candy that the boys will get for V-Day if there wasn't so much junk in them, which is why I was excited to use YumEarth Organics' lollipops to use in the boys' Valentines this year! 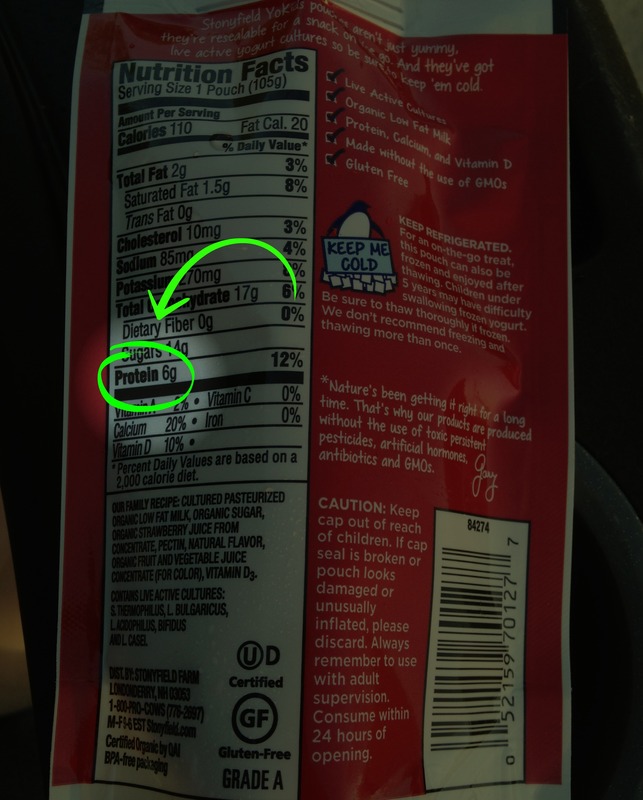 YumEarth, if you remember from my gummy bears post from Christmas time, is the company that is certified organic, contains real fruit extracts, is kosher, contains no gluten, tree nuts, peanuts, GMO's, dairy, soy, high fructose corn syrup, or artificial colors and dyes. That's something I can celebrate! And now that YumEarth goodies are available at Target stores, they're easily accessible and perfect for Valentine's Day treats! 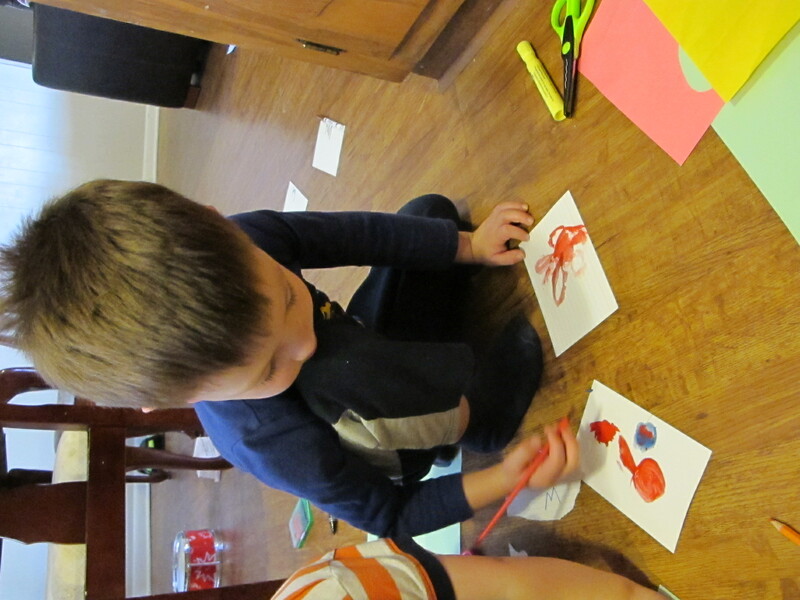 There are a lot of Valentine kits you can buy at the store, complete with many popular candies, but I didn't want to go buy anything and I wanted the boys to actually make something. 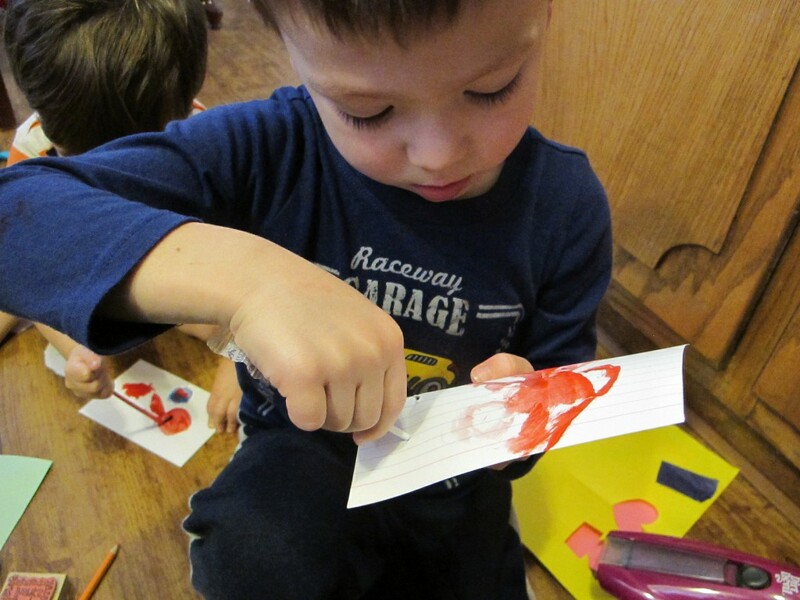 I first turned to Pinterest for cute crafts and came up with adorable butterflies made with suckers and those precious photo cards that look like the kid is holding the sucker. But, well, who am I kidding? 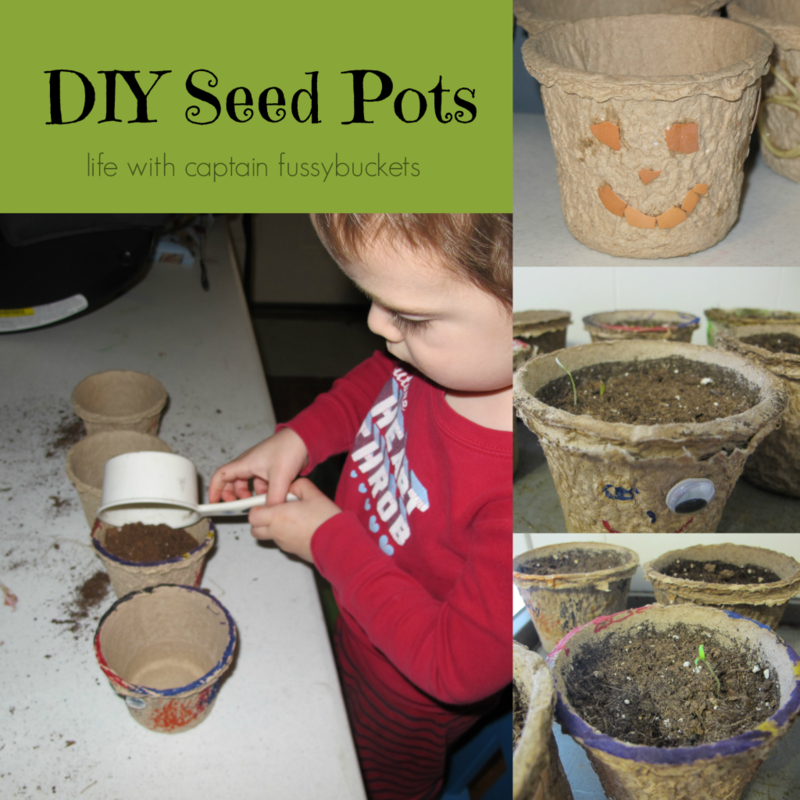 I'm just not that crafty and kids can be excused for not making the perfect craft….right? 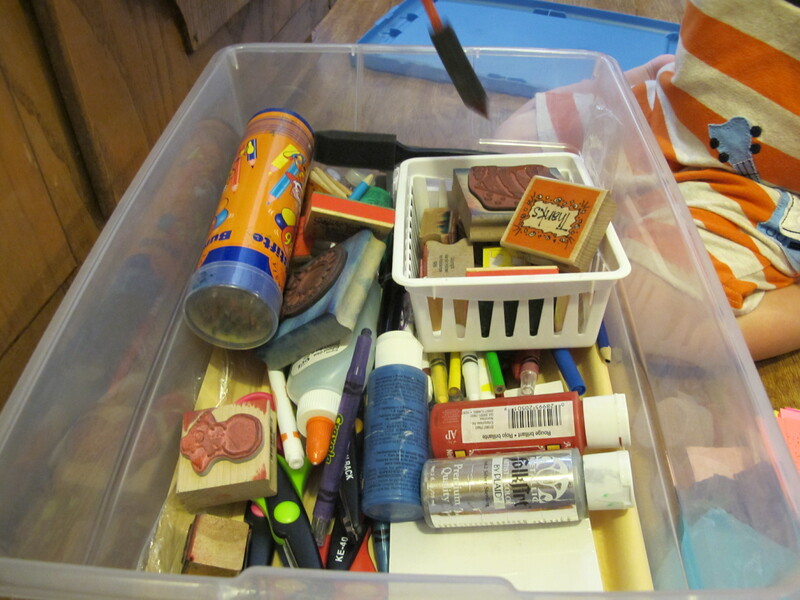 So, we opened the craft box and away we went. 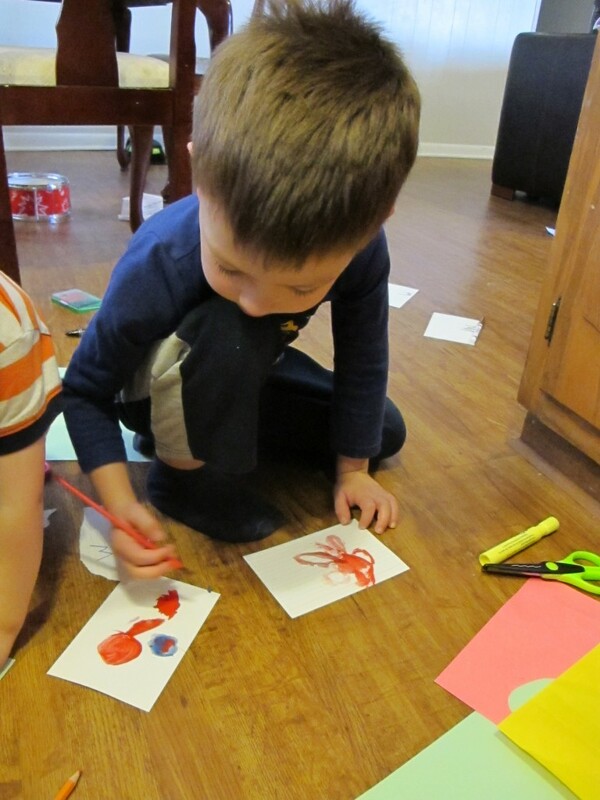 And of course the boys had to sample the lollipops while they created their valentines! This is a Mango Tango lollipop and Baby D loved it! Yes, I got into it, too. 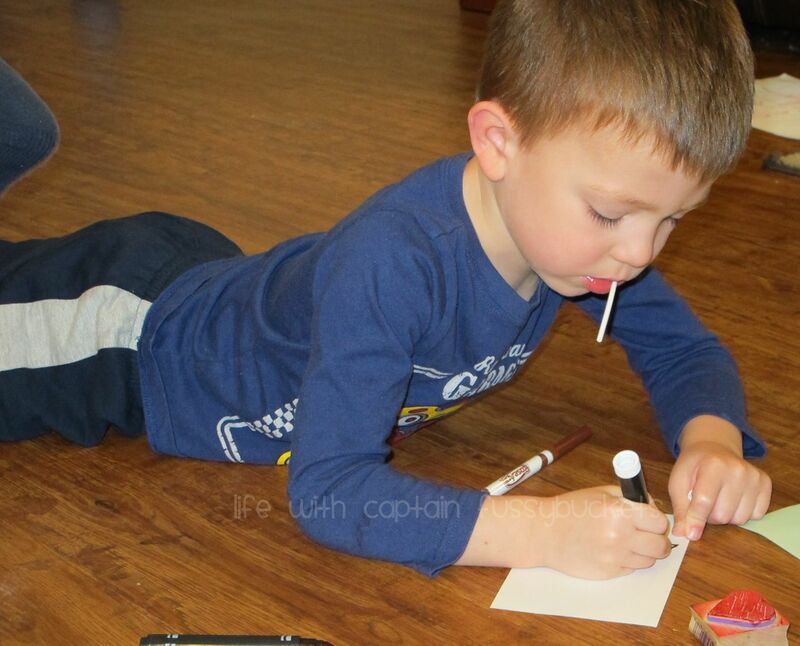 The Captain and I thought of things to write on the valentines and it was a fun time spent together. 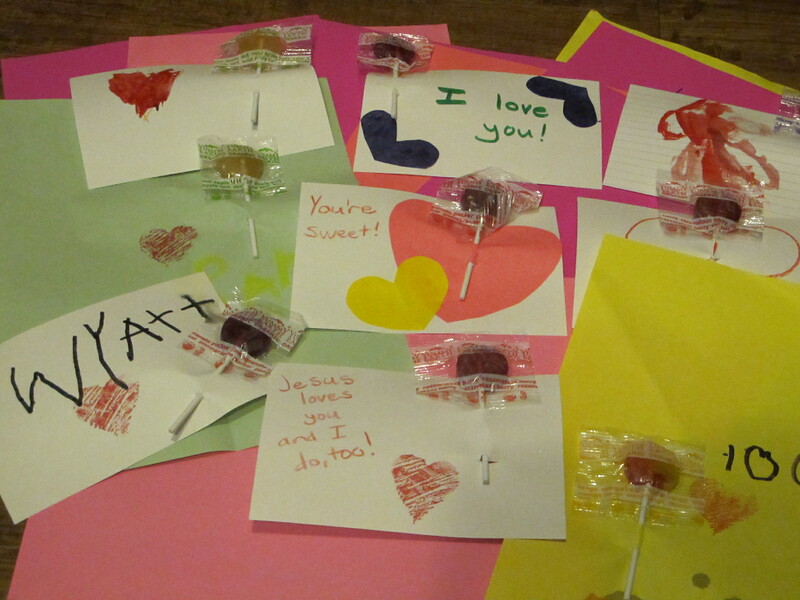 And the best part is that the recipients will get an awesome, handcrafted Valentine AND a delicious organic lollipop without junk! What a great combination! 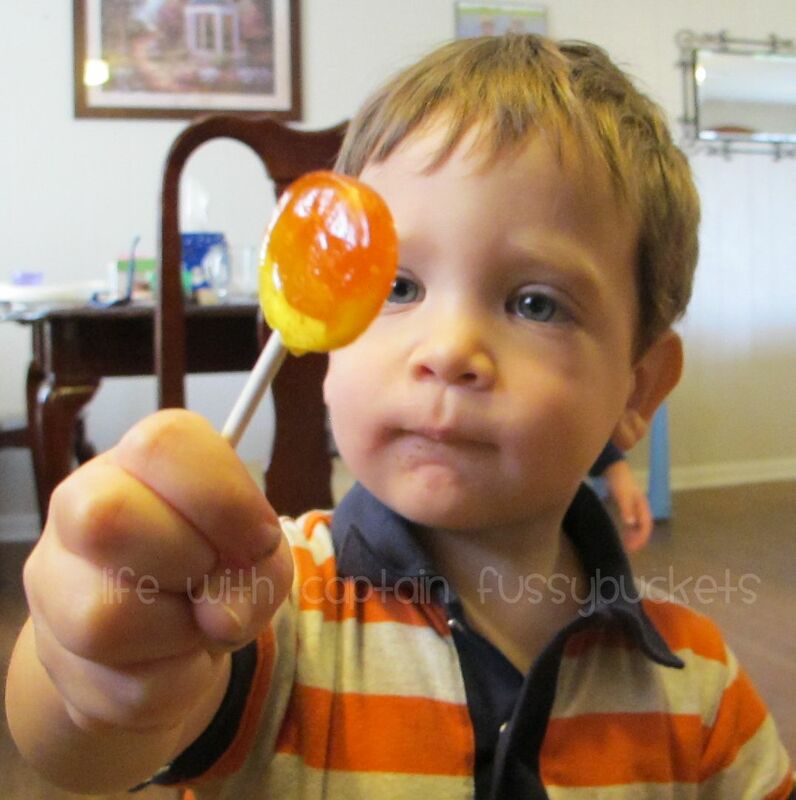 If you're wondering what flavors were in the bag of YumEarth Organics lollipops…here is the mouthwatering list: Mango Tango, Pomegranate Pucker, Very Very Cherry (the Captain's favorite! ), Sour Apple Tart, Wet Face Watermelon, Strawberry Smash, and TooBerry Blueberry. You'd be surprised at how GOOD these lollipops are. You will find that you don't need the extra junk that your other favorite candies probably contain. I'm so proud of YumEarth Organics for making good, quality candy that can be enjoyed without wondering what is in it! You can purchase your bag of 30+ YumEarth lollipops from Target or Amazon.